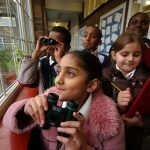 Now in its 40th year, the Big Garden Birdwatch is a chance for people of all ages to count the number of birds that visit their garden, helping the RSPB build up a picture of how they are doing. This year, more than 32,000 people across Scotland took part in counting almost 600,000 birds. 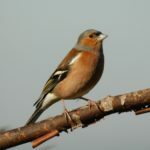 The most commonly recorded bird in Argyll and Bute was the chaffinch, with 884 spotted, an average of 6.4 per garden and seen in 81.7 per cent of gardens. Argyll and Bute was the only local authroty area to have the chaffinch top, with the majority saying house sparrows and few starlings. 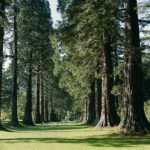 The results from the event, held over the last weekend in January, revealed that house sparrows remained at the top of the rankings as the most commonly seen garden birds. There were more than 100,000 recorded sightings of house sparrows in Scotland. For a full round-up of all the RSPB Big Garden Birdwatch results and to see which birds were visiting gardens where you live, visit www.rspb.org.uk/birdwatch.